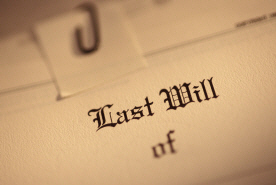 Attorneys, accountants, executors and others rely on Dana L. Grover Associates, for "date of death" valuations because such appraisals require special expertise and training. They require a firm that's been in the area for some time and can effectively research comparable contemporaneous sales. As of October 20th, 2009, according to the IRS' Estate Tax Rules, the "qualified appraisal" (for estate tax purposes) must be performed by a "qualified appraiser." The IRS defined qualified appraiser as an individual who, among other things, "has earned an appraisal designation from a recognized professional appraisal organization...." Appraisers holding the SRA designation awarded by the Appraisal Institute are, by definition, "qualified" appraisers in the eyes of the IRS. Real property isn't like publicly traded stock or other items which don't fluctuate in value very much or for which historical public data is available. You need a professional, "qualified" real estate appraiser, bound by the Uniform Standards of Professional Appraisal Practice (USPAP) for a high degree of confidentiality and professionalism, and you need a "qualified" report and work product the IRS and courts need and expect. To read the final IRS Estate Tax Rules which went into effect on 10/20/2009, visit https://op.bna.com/dt.nsf/id/csaz-7wvm36/$File/TD%209468.pdf .